GReeeeN "Kiseki" - GReeeeN "キセキ"
It's less than 1 month to Christmas ! Please watch the movie "The Family Man" ! I love this movie so much !! I watched the DVD with my host brother in Australia. 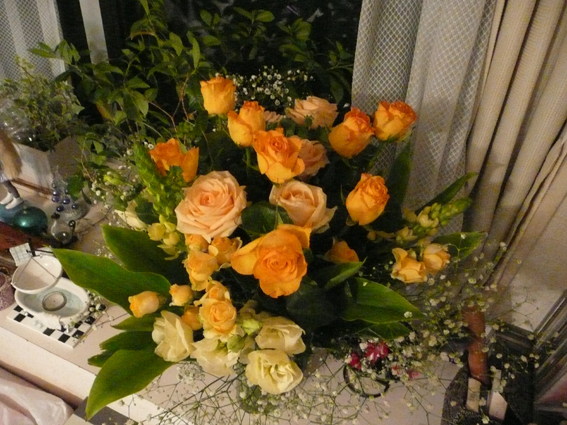 After we watched, he watched the movie again alone (he seemed to think deeply by himself), and he sent 70 roses to ex-girlfriend at her office, they got back together again and few years later, they married happily. I was there then, even for me, it's very good memorable movie. Please watch it before Christmas !! 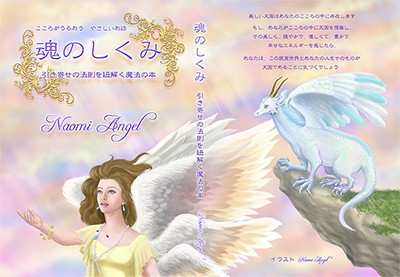 Thank you for visiting Naomi Angel's blog, today, again. Today, the theme was the island of Gods;"Bali" ! I love Bali, well never been to there yet, but, I'm very interested in it ! I cried because I was so impressed. After 2 times of terror attack, the visitors were decreasing a lot, but, 1 year later, in 2007, the number of visitors increased highest in the past ! What people did for it, do you think ? 7000 people got together, and danced Kechak, prayed for people died at the terror attack and prayed also the resurgence of the island. I had tears to watch it. People in the island believe prayer comes true. Now, I feel like to go there more ! People who you meet are your mirror. If there are some feelings of heaviness, suffering and dark hidden deeply in your heart, please leave and heal them. And, if you shower a lot of feelings of affection and gratitude in your heart and ring them through with the prayer for others, then, you will be able to be filled with tenderness, warmth, happiness and love wherever you go. If I quite the job and left the office with complaint to other people or things, I always experience more difficult situation which I can never avoid at the new office. Therefore, if I tried to pray humbly and unreservedly with feeling of apologizing and gratitude for people or things of the trouble, then, curiously, I never have problems on human relationship after the fact. “I might have unknowingly done same irrational things to others in other place, or in other time (in the previous life)." If so, then, I feel sorry. This is GReeeeN's song "Kiseki" (=Miracle & the life road). It's the theme song of "Rookies"(Japanese TV Drama). You can read the English subtitle in the movie ! And, now, I read the lyric with this movie, I was impressed very much because it's so wonderful lyric. "Thank you" and, ah, "I love you"
Just aren't enough, just at least let me say "I'm happy". One of my Mixi mate; Gorgo-san who is a very spiritual person was introducing this movie. So, I pasted this here, too ! Thank you for the introduction, Gorgo-san ! And, the story behind of the song in the movie is also good and heart-warming. The story of the TV drama is bad boys of baseball club in some high school change their mind by one great teacher who loves and believes them from his heart. And they dream to go to the all Japan high school baseball tournaments (we call it "Koshien"). There are a lot of good and wonderful message in drama. Over 3000 hits yesterday (Nov. 27th) ! Only the hit number of yesterday was 111 ! In fact, I got the number "111" here before. 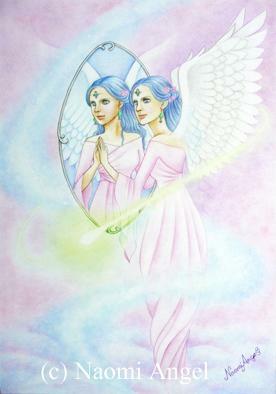 I heard such a same 3-numbers like "111" or "777" was called the message from angels. I will update other 7 angels' arts with their messages one-by-one. Continuing from the column "vol.1". 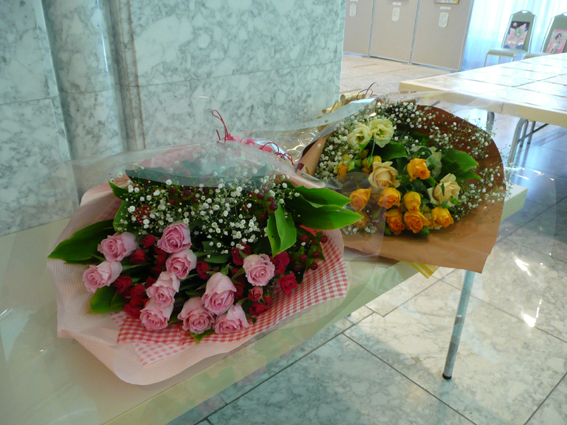 At that event, we were really filled with happiness and thankfulness by the kind and nice customers with warm hearts. It’s like we were in heaven, we could be filled with the tender and wonderful energy and now I still feel it. What I should start to write…. Now I'm updating the photos of the event on 23th last Sunday ! Takayo's mother brought great phalaenopsis orchids from her house. And she also ordered the poster and the white frame for us. Thank you very much, Mrs.. The hall with nature marble stones. We are preparing. 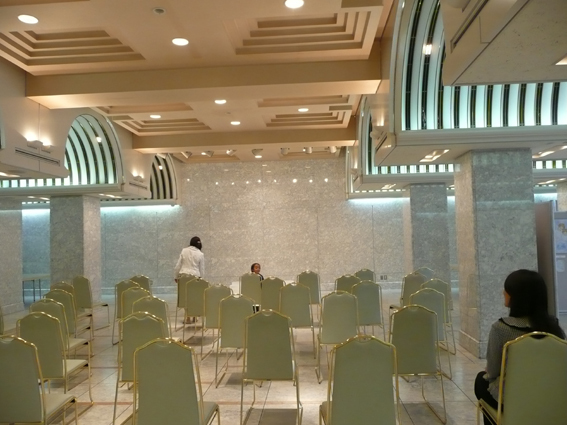 Now, I think, thanks of the power of those nature marble stones, the hall was filled with holy energy. My little nephews (4-years-old and 2-years-old) also helped us. Thanks ! There are 7 crystal bowls same numbers as 7 chakras. 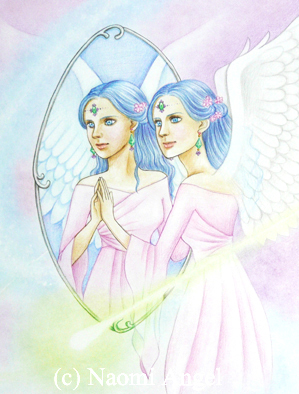 Placed in order form first chakra to seventh chakra. Still continue a lot. Click "More" to see. Thank you for visiting my official blog today ! 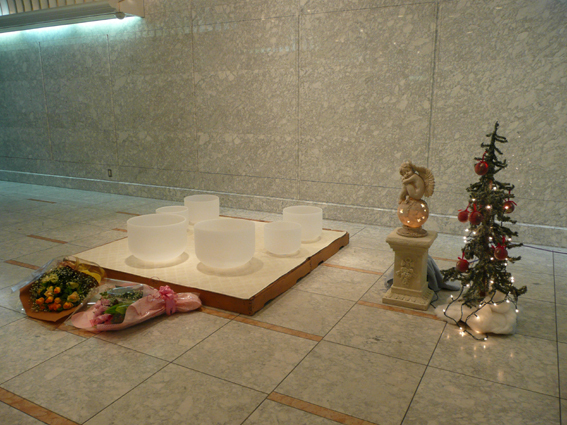 Tomorrow, on the 23rd Nov., the event of Chrystal Bowl and Naomi Angel exhibition will be held in Gumma, from 13:00. Please join if you are living near ! I'm looking forward to seeing all of you.